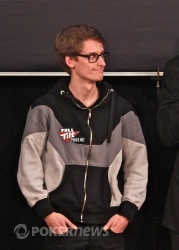 Michael Tureniec Wins the 2011 PokerStars.net EPT Copenhagen (DKK 3,700,000)! We have known for some hours that the "Scandie Open" title was going to do last year's champion Anton Wigg proud and stay in Swedish hands, but after the elimination of John Eames in third place, it took more than three and a half hours to determine exactly which Swede was going to claim the top prize and which Swede was going to have to settle for second. Per Linde might have started the final with a huge lead - in fact, he'd maintained the lead since Day 3 - but it was all change after Linde doubled up John Eames and Eames then proceeded to double up Tureniec in a massive coinflip for the chip lead, meaning that Michael Tureniec started the heads-up with the bulk of the chips. Linde doubled up several times, but Tureniec's reaction each time was simply to stay focused and carefully up the measured aggression. Linde too failed to tilt, and the match could really have gone either way - it was left to the poker gods to decide it in the final flip that could easily have doubled Linde up and reversed the stacks. As it was, this was Tureniec's moment, and he finally gets to know what it's like to finish first - his previous best was runner up to Michael Martin at the 2008 EPT London. 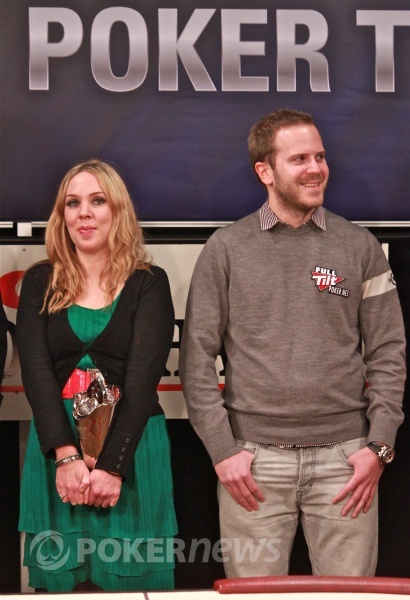 He is a kroner millionaire 3.7 times over, and gets to take home the cash, the trophy and a rather nice bracelet from sponsors Shamballa Jewels. While the Swedish contingent head down to the bar to party the Danish night away, the rest of the EPT circus prepares to pack up its belongings and head for Austria. The PokerNews European live reporting team will be following them, and blogging will resume in just a few weeks' time from the lovely Alpine ski resort of Saalbach-Hinterglemm for EPT Snowfest. Until then, it's over and out. We now found ourselves in a place we had not been before - in this place, we are able to announce that after more than three and a half hours of heads-up battle, we have a brand new EPT winner. Michael Tureniec raised to 225,000 and Per Linde called but both players checked the flop before Linde fired out 200,000 on the and was called by Tureniec. Linde then fired 600,000 on the and Tureniec gave up. 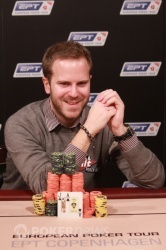 A couple of hands later and Tureniec again makes it 225,000 with Linde calling once more. 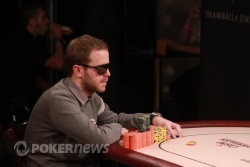 A check from Linde on the flop and Tureniec bet 250,000 only to fold when Linde made it 650,000. Tureniec still leads with roughly 9.5 million to 4 million chips. When it was Per Linde's turn to raise the button (200k) Tureniec flat called and they saw a flop. Check to Linde who bet 200k. Tureniec called. The turn was the - again Tureniec check-called (this time 550k). The river saw a final check to the button. Linde shook his head with an expression like he was sucking a lemon - this river was not ideal - and had to muck when Tureniec showed his high. Another button min-raise from Per Linde and another call from Michael Tureniec; they were soon looking at an flop. Tureniec checked and Linde continuation-bet 250,000. But Tureniec now check-raised to 650,000. Linde had a quick peek at his hole cards, but presumably found them not to his liking - he folded, and Tureniec took the pot. Michael Tureniec opened to 225,000 and Per Linde made the call, but the action ceased then all the way to the river of a river. We didn't see the cards but it looked as thought Tureniec might have picked this hand up with maybe but we're not sure. Of the flopless pots which have characterised the last 15 minutes, Michael Tureniec has won a few more than Per Linde, but they seem to be equally matched, taking turns to raise and three-bet each other. They do not seem keen to get it in and hope for the best, but they're playing faster than is usual in the latter stages of a final table, in the sense of more hands per hour. This stops the non-showdown nature of their heads up game at the moment being as tiresome as some. Michael Tureniec made it 225,000 from the button, swiftly called by Per Linde. Linde check-called 300,000 on the flop before checking again on the turn; this time Tureniec checked behind. 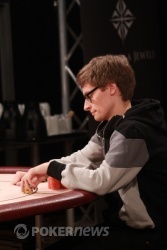 Faced with a river Linde bet out 600,000, and Tureniec opted to fold his hand. Two hands later and Linde got the better of Tureniec again, this time three-betting to 600,000 after Tureniec's opening raise to 225,000. Tureniec let him have it (the pot, that is), and Linde is now back over the 5 million mark.